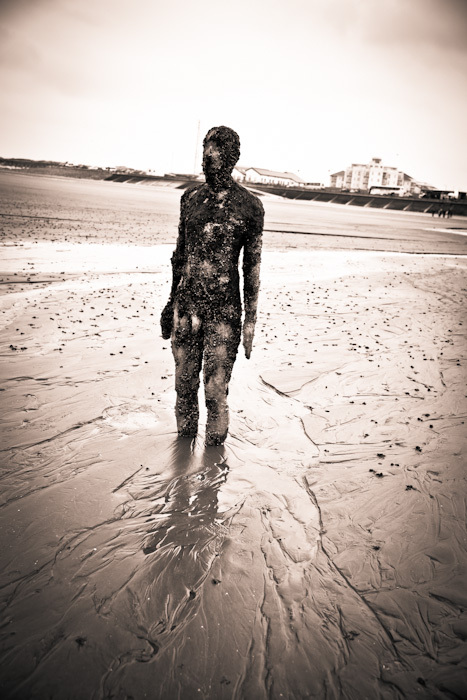 ’Took a trip to Crosby on the Lancashire coast to see the series of sculptures in the sea/on the beach by Antony Gormley. There is much more to say about this, though maybe such a discussion would be more appropriately placed on my fine art website. So, for now here’s the first of the edited photographs.